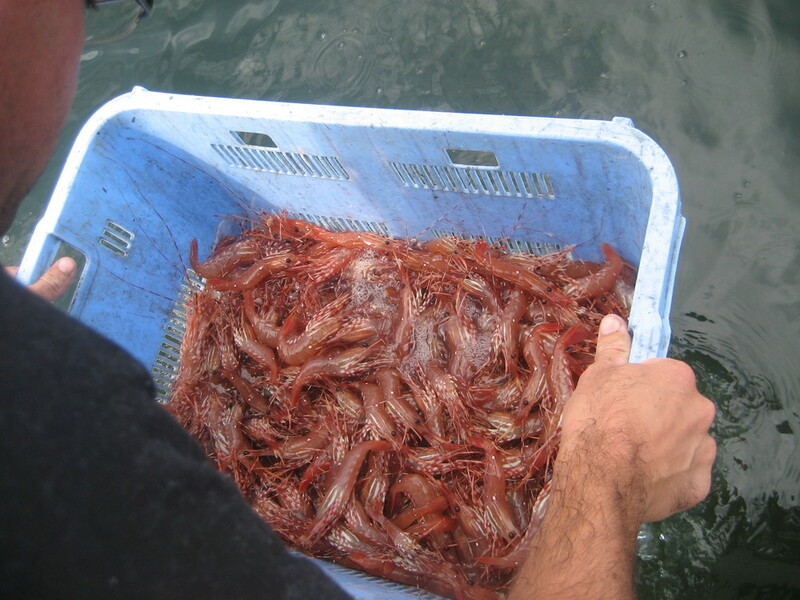 Well, it's that time of year again when BC's waters offer up some amazing tasty spot prawns. The season is open for commercial fisheries and the stores and restaurants are receiving their orders. I purchased my spot prawns from the docks near granville island, from water to boat to mouth! Here is a great pasta I love to make. (This next step is optional but highly recommended) Pour 3 cups of water over the prawn shells that are in a pot and add the half of a peeled onion. Bring to a boil then simmer for 20 minutes (stock should be reduced by a third) then strain and keep the warm prawn stock. Heat up a pan and add 2 TBS of olive oil. Add the shallots, garlic and sauté for 2 minutes. Make sure not to brown them. Add all of the tomatoes and add 1/2 of a cup of prawn stock. Once the stock is evaporated, add 1/2 cup more and keep doing this until tomatoes are soft and reduced, about 20 minutes. (this will give you a little more liquid that you can add to the pasta which will give it a richer flavor). IN SAYING THIS, YOU CAN ALWAYS BUY SEAFOOD STOCK INSTEAD OF MAKING IT. When it comes time to add the remaining stock to the tomatoes, add the prawn meat, 1 pinch of chilli flakes, tarragon/basil, salt and pepper and cook until the prawns are a light pink, about 2-3 minutes. (There should still be stock in the pan, make the pasta saucy). Strain the pasta and put half of the pasta into a stainless bowl. Add in the prawn goodness and toss with a set of tongs. Add more pasta if need be. There is nothing worse then too much pasta and not enough sauce. If it's at all dry, add a couple gulps of good extra virgin olive oil. Taste and season with more salt if need be. Top with chopped flat leaf parsley, basil or tarragon.